Product prices and availability are accurate as of 2019-04-20 10:58:07 EDT and are subject to change. Any price and availability information displayed on http://www.amazon.com/ at the time of purchase will apply to the purchase of this product. The written word in all its complexity is presented for you to absorb in this stunning collection of verse that provokes thought and allows you to immerse yourself in emotions you have never felt before. Enigma deals with issues of love and trust, disappointment and joy, carrying messages of hope in the lines that allows you to deal with the eternal questions of your soul and the intricacies of life, then entwines the pieces together in a way that befits any mood, never losing sight of the messages they carry.The definition of a perfect storm, Enigma uses words to comfort, confront, and question love. It explains to readers that love can be Euphoric, Real, and Raw. That life isn't fair but you turn your pain into power. The writing is unapologetic and raw as it tackles topics of love, heartache, healing and so much more. The words will challenge an individuals perspective on love, life and everything in between. 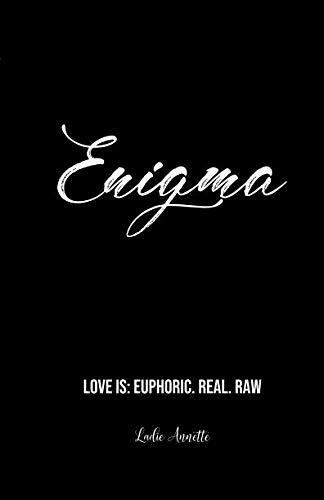 So, whether you have a spare minute in a busy diary, or slightly longer to reflect and unwind, the poetry of Enigma will provide you with moments of contemplation and introspection that will undoubtedly make your day and remain with you.Get a copy today and enjoy savoring a truly remarkable collection of outstanding poems that are fit for the modern world.